Coniston is located on the western shore of the northern end of Coniston Water. It sits at the mouth of Coppermines Valley and Yewdale Beck, which descend from the Coniston Fells. The village first grew as both a farming village and to serve local copper and slate mines. In 1859 the Furness Railway opened the Coniston railway station to passenger traffic, dramatically increasing the number of tourists to the loaction. Coniston water is about half a mile down from the village, where you can hire boats and bikes to explore the lake and the surrounding area. The lake itself is five miles long and half a mile wide. Above its western shore, the mountain of the Old Man of Coniston towers above the lake and the village. Former home to poet John Ruskin, Brantwood Estate overlooks the eastern shore of the lake. This historic house, museum and vibrant centre for the arts has a variety of things to see and do for the whole family. The estate is filled with fine paintings, beautiful furniture and Ruskin’s personal treasures and offers magnificent views of Coniston Water and the Lakeland mountains beyond. The Ruskin Museum in the center of Coniston village features an exhibition about Sir Donald Campbell, famous for breaking the water speed record in 1955 on Coniston water and was unfortunately killed in 1967 making another attempt on the world speed record in his speedboat, Bluebird. Coniston is perfect for those looking to spend some quality time in the great outdoors, it's popular for hill walking and rock climbing, with fantastic walks on the nearby Furness Fells and just south of Coniston at Grizedale Forest. Some of the finest rock in the Lake District on the eastern face of Dow Crag, just 3 miles from the village. The Old Man of Coniston is one of the famous Wainwright walks in the Lake District. The summit carries a unique construction, a combined slate platform and carin. The mountain is popular with fell-walkers and there's a number of well-marked paths to the summit. On your way up make sure to look out for the remains of abandoned slate mines which were used for over 800 years! The extensive view from the summit on a clear day includes much of the southern Lake District, Morecombe Bay, Blackpool Tower, Winter Hill in the Pennines, the Lancashire coast and the Isle of Man. If you choose one of our lovely self-catering holiday cottages you will be able to enjoy a great stay in Coniston. 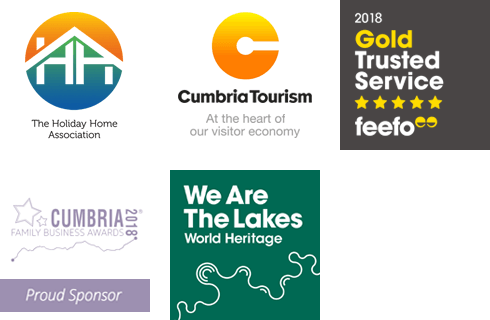 For more information about our Lake District holiday cottages give us a call on 015394 37417 or email us at stay@thegoodlifecottageco.co.uk.